The contemporary farmhouse style of this table set will elevate the look and feel of your dining space. A bright and airy white painted color for the base of the rectangular table and frame of the chairs contrasts beautifully with the light washed finish and brushed texture of the acacia veneers on the table top and chair seats. A geometric gridback design on the backrest and contoured seats for comfort on the chairs complete the table set in style. 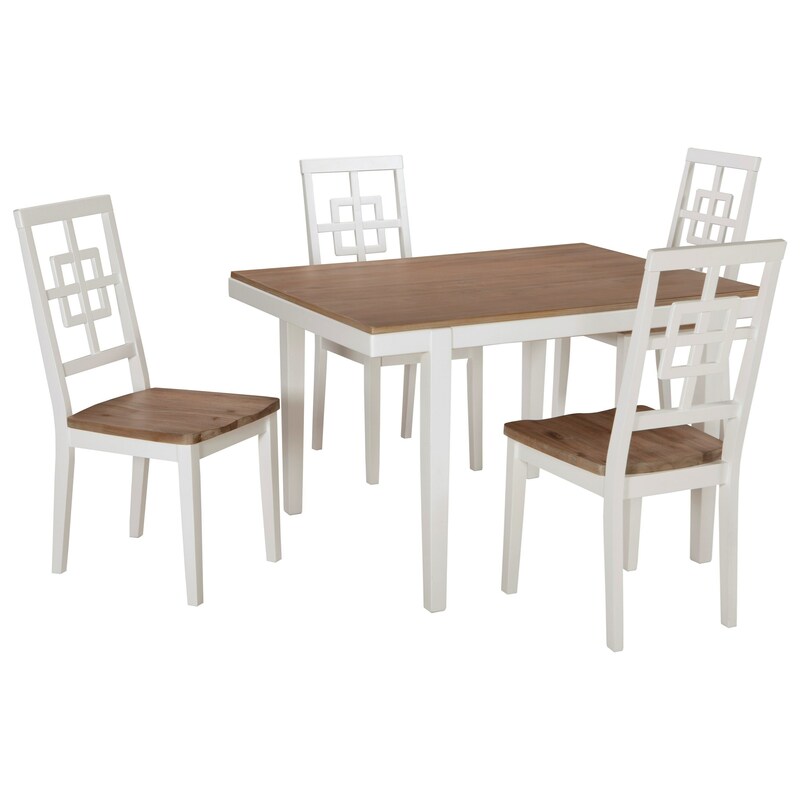 Update your kitchen nook or smaller space dining room with the sophisticated design of this table set. The Brovada Contemporary White/Light Wash 5-Piece Rectangular Dining Table Set by Signature Design by Ashley at Michael's Furniture Warehouse in the San Fernando & Los Angeles area. Product availability may vary. Contact us for the most current availability on this product. Finish Table top and chair seats are finished with a brushed texture in a light washed finish. Chair frames and table are finished with a clean white painted color. Case Detail Tapered legs. Rounded edges.